What kind of property should you focus on buying? If you are flipping, it’s simple– buy whatever you can sell quickly and profitably. Where does my buyer want to live? What is my buyer looking for? In our market, these are very simple answers. We know our buyers are looking for entry-level homes (most are first time buyers). There are also a large number of “consolidated families”, so they need a fair amount of room. Our buyers are very cost conscious and are looking for a great deal. They want an affordable mortgage, and they want the most bang for their buck. We’ve developed the following standards for evaluating homes and neighborhoods. 90% of the homes we buy fall under these guidelines. Anything under 1,200 square feet of living space (air-conditioned area of the home) is difficult to sell. A house that small is usually a two bedroom, and only about 15% of buyers are interested in these smaller homes. So if you want the broadest appeal, make sure you stay away from the small houses. Our exception to this rule is in one of several large retirement communities, where a 2 bedroom is common and desirable. 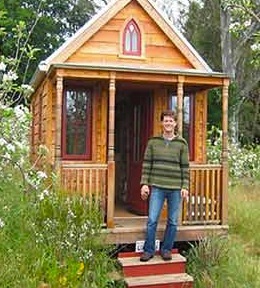 NOTE: I love the “tiny house” movement– people turning sheds, trailers and other tiny structures into actual living space… but good luck flipping those! The sweet spot in our market is 1,600-2,000 square feet of living space. That’s generally a 3 or 4 bedroom house (sometimes with a bonus room). That’s big enough for families (even with an unexpected long-term guest or two), but still very affordable. Anything bigger than that, and the price is usually too high to attract a large number of interested buyers. Our market data shows 87% of all single family homes sold in the past year were under $150,000, while 65% were sold for less than $100,000. That doesn’t mean you can’t make money on more expensive homes, but be aware of just how many buyers you are excluding when you get to those higher price points. If you want multiple offers on a house within a week of listing it…. stay under $75k. This is all relative. We sell plenty of houses in neighborhoods I wouldn’t want to live in personally. But everybody wants a quiet street. Nobody wants to live in a war zone. 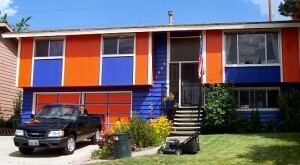 Everybody wants nice neighbors who take pride in their home’s appearance. So don’t buy houses on busy streets or in unsafe neighborhoods or in ugly neighborhoods. Most of our buyers are younger couples with children. They have cars, toys, mowers, hobbies, and lots of stuff. They need a place to store all this stuff. As a result, a house without a garage takes considerably longer to sell, especially if it is in a neighborhood where the other homes have a garage. 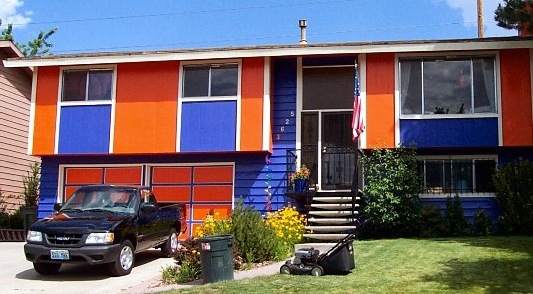 With a house, you can always fix ugly. Pressure washing, mowing the yard, hauling off trash, a fresh coat of paint, newly planted flowers, a new roof…. knocks the ugly off pretty quick. But make sure your pretty new house is just a little nicer than all the other houses. If it is obviously that much better than its neighbors once you are done, you’ve “outbuilt” the area and won’t get the best return on your investment. We had a building boom from 2004 to 2007, right before the crash. A lot of these were “spec houses” that were never occupied by the original owner, and they still make up most of our foreclosure market. With all these “new” homes (less than 10 years old) flooding the market at very competitive prices, it is much more difficult to flip an older home. The older homes, in well established neighborhoods, make fantastic rentals or owner-finance properties, but are very hard to flip to people who have seen all the “new” homes out there.